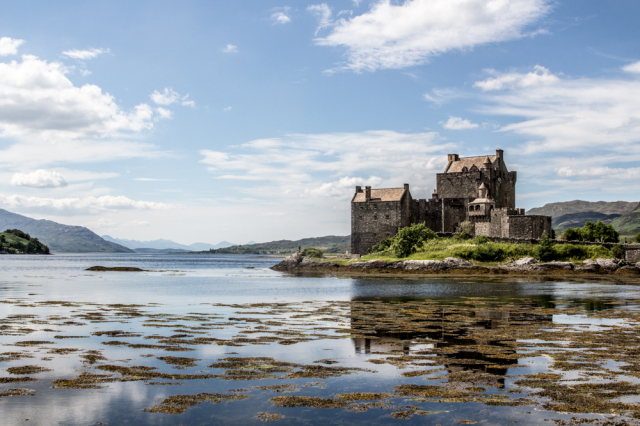 You want to travel Scotland but you have no idea where to start planning? I had the same problem before my trip to Scotland! That’s why I’ve asked for tips on my Facebook page and also asked some friends who’ve been there before. And I got some great tips, and I think my Scotland trip was the perfect tour for beginners! I think the best way to travel Scotland is by car. I just loved to drive around in the Highlands and to decide spontaneously where to go, which is easy if you have a GPS which will bring you back on the right route. I took me five days to do the tour, and I think for a first impression you need at least five days, if you have more time: even better! My Scotland trip started in Edinburgh, a really pretty city. If you only plan to stay for one day – hope for good weather, walk around in the old town and enjoy sitting in one of the many parks! In the evening I recommend you to take one of the ghost tours! I’ve joined Ken from Auld Reekie Tours for a walk around the city and its vaults and it really gave me the creeps! I’ve stayed at The Bonham in Edinburgh. 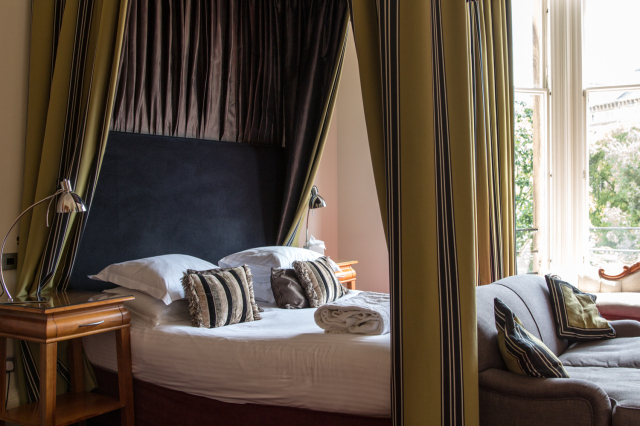 A really beautiful boutique hotel with its very own charm. And I’m not pretty sure, but it might be haunted… I had some strange dreams that night… (not weird strange but good strange) might be also have been an aftermath from the ghost tour… but: just saying! 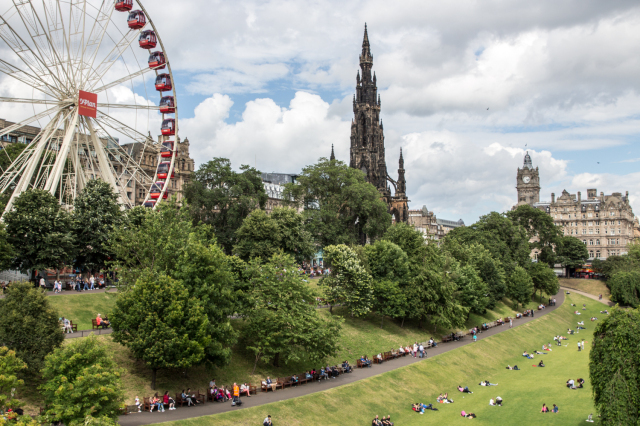 If you decide to stay some more days in Edinburgh make sure to check out the Edinburgh tips on Budgettraveller by my friend Kash! 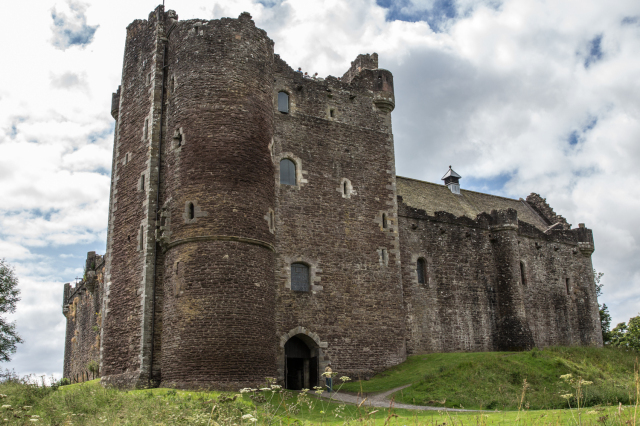 But that’s not the only reason why you should visit Doune Castle. It’s a real beauty and if you go there during the week there’s a good chance there won’t be that many tourists around. Tip: take the audio guide and enjoy some Monty Python insiders while touring the castle! Next stop: Glencoe. Normally the drive takes around two hours, but, well, the journey is the destination, right? That’s true for this drive. The town Glencoe didn’t really convince me but Glencoe valley and the whole drive there… unbelievable beautiful! Definitely bring a LOT of time! 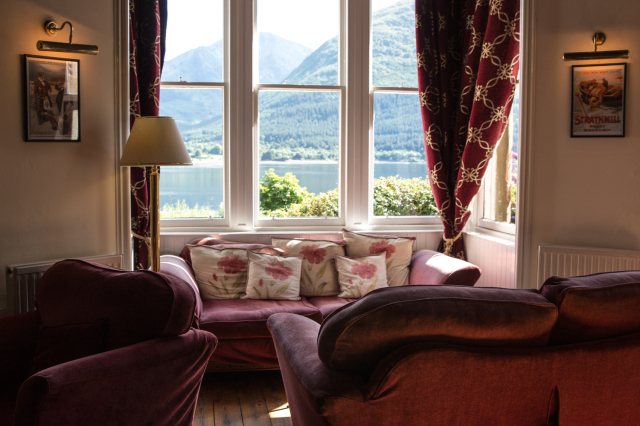 When you’ve passed Glencoe you will find one of the most charming B&B ever! Definitely want to go there AGAIN! Read: The whole love story and why I was crying for days after this evening. 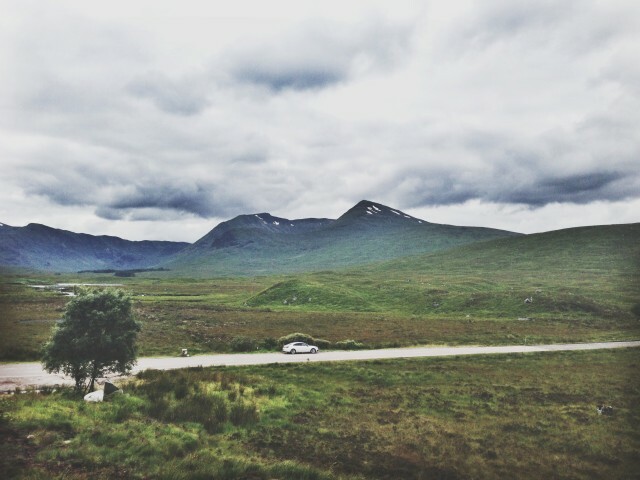 It was really hard for me to leave the next morning… but I wanted to see more of Scotland! I got a very good tip that hiking Ben Nevis is not the only way to get to the top… there’s also a gondola! So I decided to give it a try… just to find out the gondola was closed that day due to high winds. Well, I’ve tried… Instead I hit the road to Glenfinnan viaduct.. just to find out I’ve missed the train by FIVE minutes. Too bad! So I decided to hit the road again, listen to the Braveheart soundtrack in full volume and cry a bit more (and avoid as many tourists as possible). I’ve stayed in a tiny little village called Strathcarron. The hotel there is pretty simple but the stuff is super friendly and you do have to visit the pub there! 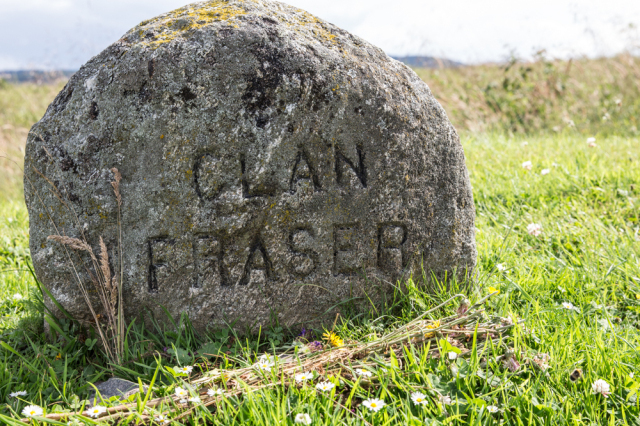 If there are no Highland Games to visit during your stay I recommend to use this day to drive deeper into the Highlands. 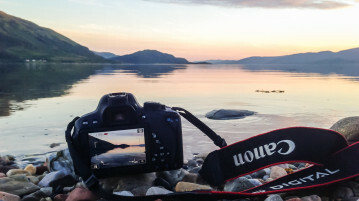 That night I finally made my way to most famous loch in Scotland: Loch Ness! 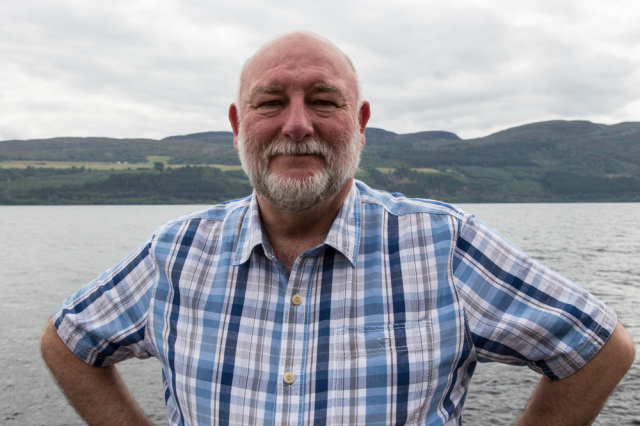 If you’re staying at The Loch Ness Clansman Hotel there’s a huge chance you’ll meet Willie Cameron. He’s known as “Mr. 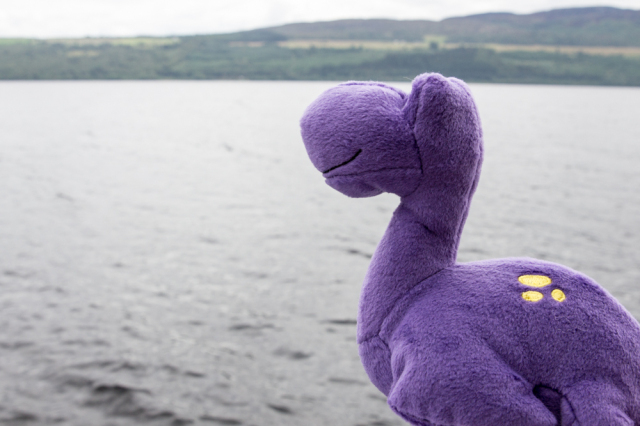 Loch Ness (and director of the Clansman hotel). Inverness itself didn’t really impress me, but that might be because I fell in love with the Highlands so much I wasn’t that much into civilization that day… my favourite place in Inverness are the Ness Islands. Perfect for a walk in the evening! And if you have some more time to spend you should definitely see Culloden, not only if you’re a fan of Diana Gabaldon’s Outlander Saga. And last but not least here’s a little map of my Scotland trip… as you can see you COULD drive this tour in one day… but that doesn’t make any sense, right? Have you been to Scotland? What do you think one can’t miss when visiting Scotland for the first time? Here are 25€ FOR YOU! Need some extra money for you next trip? If you book your accomodation through THIS LINK, then you’ll get 25€ after your trip added to your credit card (cash back) you use for your booking.com account. Plot twist: I also get 25€ and through this you not only do something nice for yourself but also for me and this blog, so I can provide you with more stories on this blog. Disclosure: This post is part of a cooperation between Reiseblogger Kollektiv and Visit Britain. Thanks to sunnycars.de for providing me with the rental car! Some links in this post are affiliate links. Looks beautiful. I am planning a trip through the Highlands myself and have been debating renting a car. If you don’t mind me asking, about how much did you spend for 5 days on a rental? I want to figure out if it will be in my budget. Thanks! We are considering doing this May 2018 – trying to decide to take an escorted tour or a rent a car and drive ourselves 5-6 Days. So many questions to ask – this is our first time in Scotland and we want to see as much as possible. We have driven in Ireland for a week and loved it. So not to be missed for first timers ???? Is that crazy to pay that? Seems high to me. Nice post Yvonne, glad you enjoyed Scotland! Can recommend the Western Isles for more great scenery and the North Highlands particularly around Torridon too. Car hire is definitely the way to go if possible, can’t beat a great scottish road trip. Hope you make it back sometime. Scotland is without a doubt my country of the year, and I haven’t been to a more charming city than Edinburgh (despite the gloomy weather and the spooky underground!). Although like Neil, I too recommend the Outer Hebrides–especially if you’re looking for another astonishing “middle of nowhere”. I’m going to Scotland for New Years!! I can’t wait. Great guide thanks for the awesome tips! Yay! You’re going to have so much fun!!!! Have visited Scotland twice but after having your tips and advice’s m more excited for my next trip, also wonderful photography. Loved it. Hi Yvonne, What a great post… Your tour is very similar to what I’m considering doing, but a little nervous about trying alone. Did you find navigating the roads via GPS to be difficult? Did you make hotel & B&B reservations in advance, or just stayed at whatever you found along the way? Hi Sush, happy you liked my post. And actually traveling alone through Scotland was one of the best things I’ve ever done. I would definitely recommend to use a GPS, for me it was pretty easy to use and I never got lost. And yes, I did have reservations in advance just to be safe. I didn’t wanted to spend time looking for a place to stay for the night, which especially in high season could be a bit annoying. Enjoy your trip! What time of year was this trip taken ? You have inspired me to be solo and to finally take the plunge. That’s a great itinerary ! I went to the Highland Games in Pitlochry and it was really amazing (there’s my account of it on my blog for those who plan on going). Some great places for me to put on my next trip back to Scotland. Next time you go don’t miss Dunnottar near Aberdeen. It’s my favorite castle of all time. I can envision being Mary Queen of Scots and being held there for a time or being William Wallace and spending some time visiting there. Both did! Hi Yvonne, an amazing and thrilling post, and also an motivational one. Thanks to your post I was able to finally decide whether to go on a solo road trip in Scotland or not. Finally I am going, and since this will be my first time in Scotland I expect it to be full of adventures. Nice and informative post. I am planning to visit Scotland with family. After reading the post it would be easier for me to decide the places. I would appreciate if you could post the best driving routes . I really enjoyed your post. My daughter and I are going to Scotland the end of July, I’ve booked our hotels and tours of Edinburgh and the Highlands. Just wondering what to pack besides my comfy walking shoes. Any suggestions? if you ever need anything else, feel free to drop me an email and ill be more than happy to offer some help! hey! i’m actually from Scotland, lived here all my days, and really the best country in the world. im blessed. Recommend the Isle of Skye to anyone traveling in Scotland. utterly breath taking. i want to go back to see the fairy pools. and travel through Glen Coe! I live about 3 miles from the falls of Clyde in New Lanark. utterly glorious too if your starting from Edinburgh or Glasgow, its about 30 miles from there. so blessed. We are planning our first trip to Scotland and are from the US. Loved your enthusiasm for your beautiful country. Any Suggestions. Where should we fly into to start. We only have 5 days as doing a Viking River Cruise for 2 weeks Budapest to Amsterdam so want to see Scotland at the end. We are country gals, have horses, etc and want to drive so any suggestions would be appreciated. 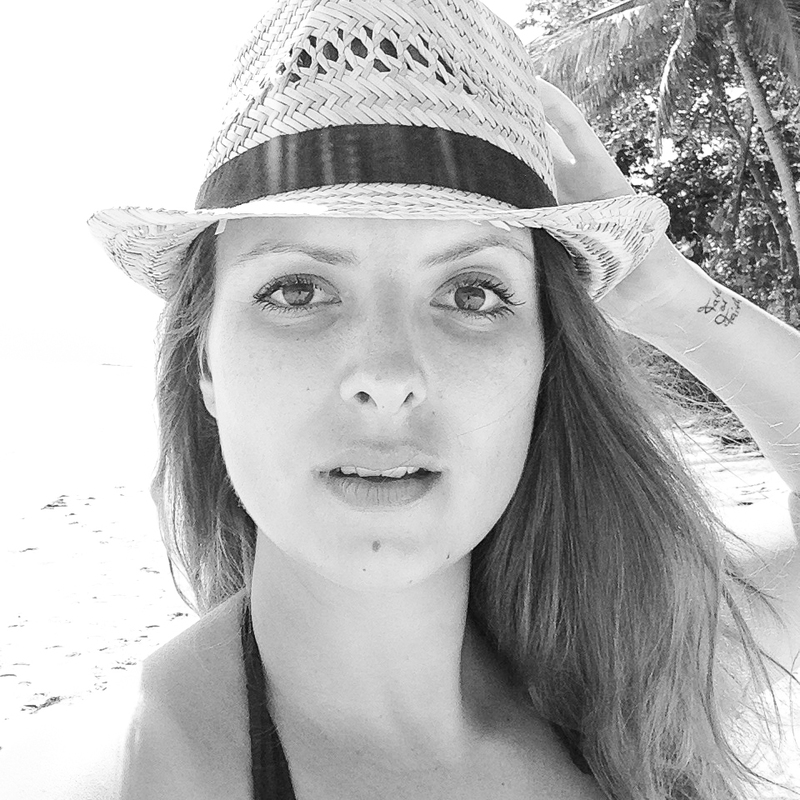 Our husbands have to stay home & work….we have so much fun traveling and love beautiful country. I would either fly into Edinburgh and do the trip like I did it, or fly into Inverness or Glasgow and go from there 🙂 ENJOY! I am planing a trip to Scotland , which time of year is better May or Oct? I am planning to visit Scotland for 5 days around mid June 2018. How was your visit? Would you mind sharing your experiences? Thanks in advance. Hi Vicky! I stumbled upon your comment as we are thinking of spending 5 days in Scotland with a three year old. Any advice you can give me on a tour? What to see where to go etc? I really appreciate insider info as you really see some gems then! scotland climate is cool so take care skins Thanks for share,very useful.. Were you by yourself in this trip? I’m thinking about rent a car to explore the Highlands, but I’m a solo traveler and a little bit insecure about it. I’m planning a 5 day trip with some friends to Scottland. I really liked your route. But I wanted to ask though if there are other places that you could recommend us to go. Thanks!! If we only have 4 days what would you cut out? We would like to get the Isle of Skye in there. Hi what time of year did you go?. I am looking to go April time what do you think ? excellent summary! if you need a Cosy Central Fully Equipped Edinburgh apartment during your travels, i would be happy to host! Good post and beautiful images. 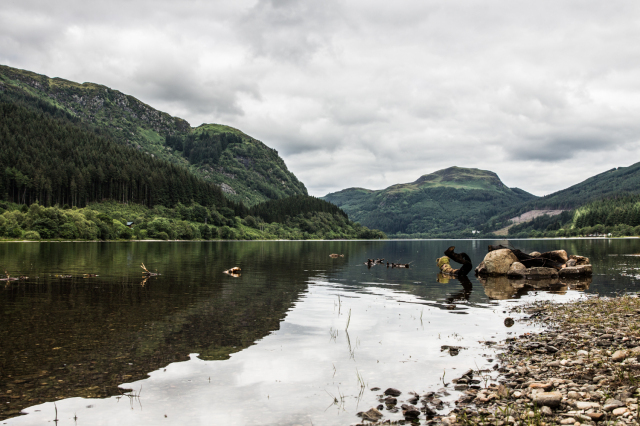 I am planning a trip through the Highlands myself and have been debating renting a car. If you don’t mind me asking, about how much did you spend for 5 days on a rental? I want to figure out if it will be in my budget. Thanks! I did a 4 day private tour in the Highlands and not sure the cost, it was a gift, and it was great. I”m planning a trip to Scotland from Edinburgh to Inverness and back for 4-5 days in late January/early Feb. I’ll be traveling alone as you did. Hi Patti. The Scottish Highlands in the winter is certainly magical! I hope you will have a great trip. Just be mindful that when travelling through the Scotland Highlands in Jan/Feb, there is every likelihood of snow. Whilst this makes the scenery spectacular, it does add some complications to those driving – especially on your own. You may not mind the cold, but there is the potential for blizzards, road closures (which means you may get snowed in for a while), and you may need to use snow chains on your car – so you would need to be familiar with putting these on by yourself. I don’t want to put a dampener on your holiday plans, but I also don’t want you to be unaware of the hazards of travelling solo through the Highlands at that time of year. Great post and beautiful photos. I am planning to visit Scotland for 4 days and your advices help me a lot to organize my journey. No doubt I’ll visit Edinburgh. We are planning for a trip to scotland for 4-5 days in end july with our1.5 year old. Can you suggest some advices which will help us to plan as most of the tours do not take kids below 5 years. Also both me and my husband don’t know to drive so any help here to have a good trip covering nice places would be great. Thanks!